You might occasionally swap around the wallpaper on your smartphone, but do you give much thought to the bleeps and buzzing sounds that your handset makes — they’re just as customisable as any other part of your handset, and can help you make your phone your own or just reduce the stress brought on by an incessant stream of notifications. Imagine having a phone that only vibrates with calm and natural sounds rather than tinny, robotic music programmed by the manufacturer, or a phone sound system completely themed around your favourite movie franchise. 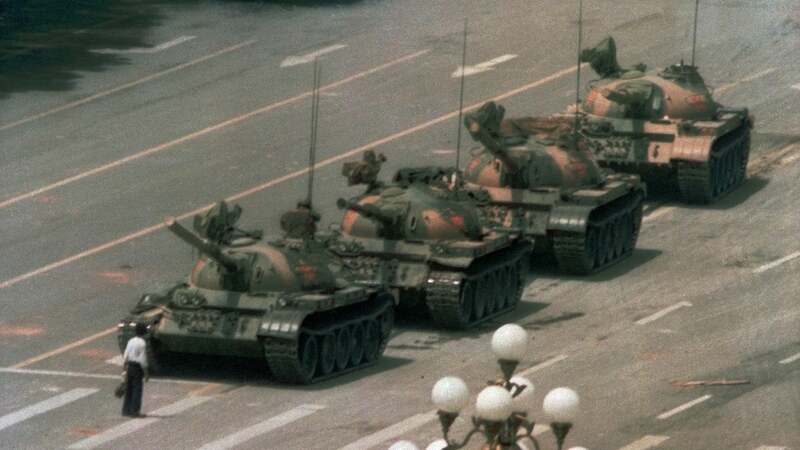 Here’s how to get it done. Before we show you how to select sounds, here’s how to create custom ones: Maybe the sounds of waves gently lapping at the shore, or a snippet from your favourite orchestral score, or your baby’s laugh (hey, it’s your phone). 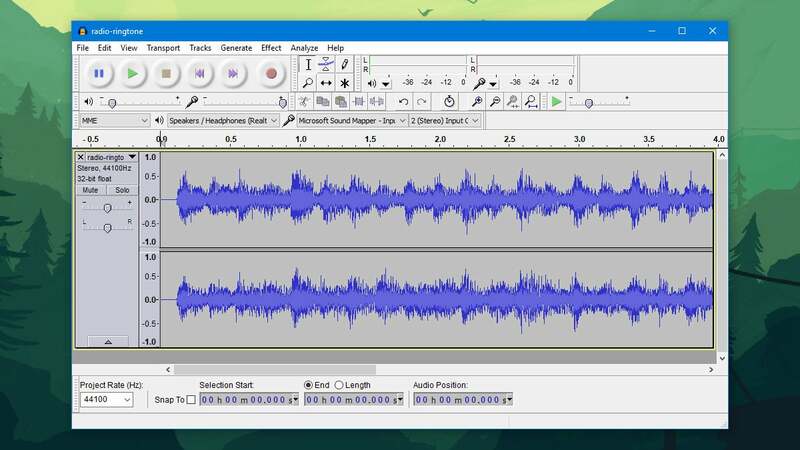 We don’t have space for a fully fledged audio editing tutorial here but the ever-dependable Audacity for Windows or macOS should help you wrangle audio clips from a variety of sources into a variety of formats. It enables you to easily trim and chop up files, record from your computer’s microphone, and plenty more. When you’ve got your audio file prepared in Audacity or any other app, save it as an MP3, then get it over to your phone. On Android, you can (for example) put it in Dropbox then long-press on it, tap the three dots (top right), then choose Save to Device; or you could connect your phone up via a cable and access the file system that way. Whatever your file transferring method of choice, you need to get the audio into the Ringtones, Notifications or Alarms folder, depending on where you want it to be available. With that done, you might need to restart your device—after that, the file should appear as an available sound (see the next section). Over on iOS, you first need to get your MP3 file into the special M4R format that iPhones use for their ringtones — if you don’t already have a tool that you know can do this, Zamzar will do the job for you in your browser. Next, connect your iPhone up to a computer running iTunes, and when it shows up in the left-hand panel, click on the Tones entry. 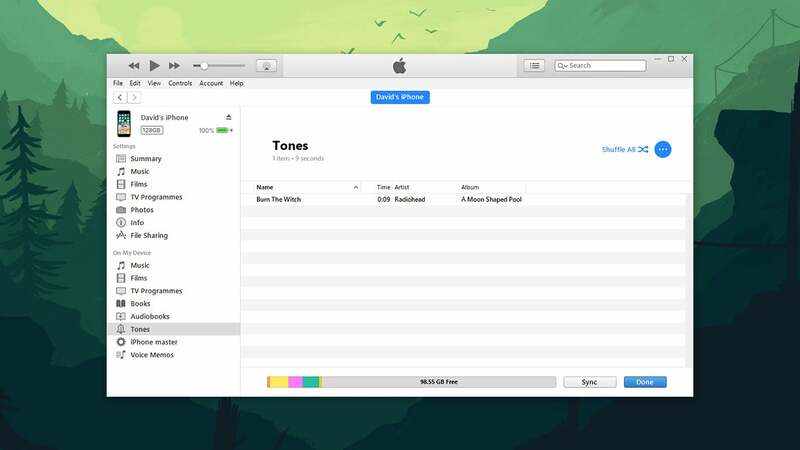 You can then drag your MP3 file (or copy and paste it) into the Tones list to copy it over to your phone—just make sure you sync it automatically or manually before disconnecting it from iTunes. Your main volume controls are under Sound in Settings, where you’ve got sliders for separate volumes for media, calls, alerts, and alarms—even if your alarm has to be set to an ear-piercing level to get you out of bed, your app alerts don’t have to be. 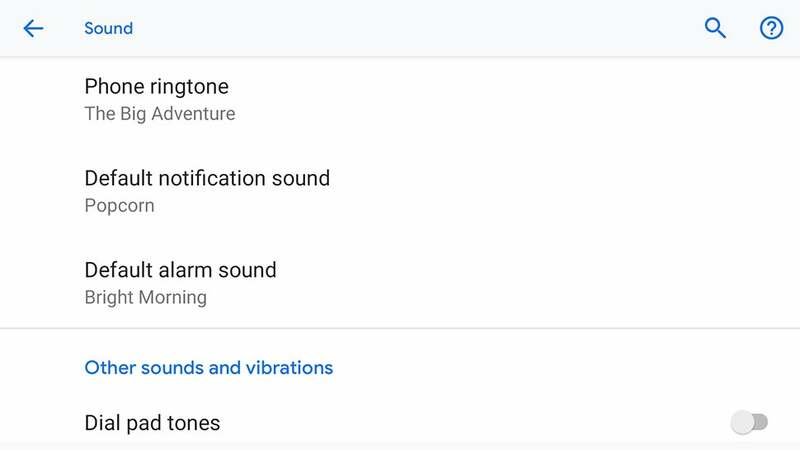 Further down the screen you can use the Phone ringtone, Default notification sound, and Default alarm sound to set these three sounds on the system. You get all of the stock Android sounds here, together with any extra recordings of your own you’ve added via the methods above (remember the files need to be in the right folders to show up). To apply a sound, just tap on it: You’ll hear a preview at the current volume level, at which point you can recoil in horror at the audio and tap X to cancel, or decide you actually rather like your choice and hit Save. When it comes to contacts, you can have different ringtones for different people: It makes it a lot easier to tell who’s calling if your phone is in your pocket or on the other side of the room. To do this, tap on any name in the Contacts app, then the three dots to the top right, then Set ringtone. 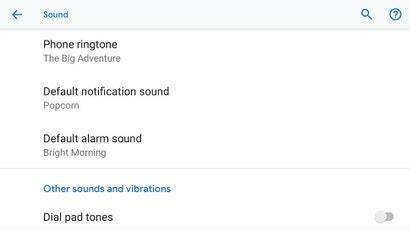 A bunch of Android apps will let you set custom ringtones and notification sounds, though they focus on providing libraries of their own rather than letting you add custom audio clips. 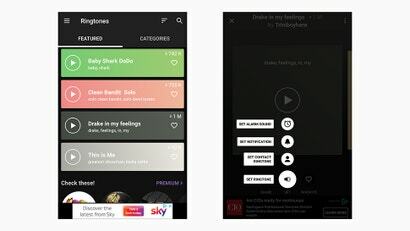 One of the best and most popular choices is Zedge—from the app menu tap Ringtones to see the selection, then tap on any item to preview and set it as a ringtone or alert sound. We also like Audiko Ringtones, which not only has an extensive selection of songs and sounds to pick from, but also lets you trim your audio clips to get them just the way you want before setting them. Just tap on a track, then the download button (the down arrow) to set it as a notification sound or ringtone. On iOS, as you might expect, everything is a little more locked down — Apple doesn’t like giving up too much in the way of customisation options, for better or worse. 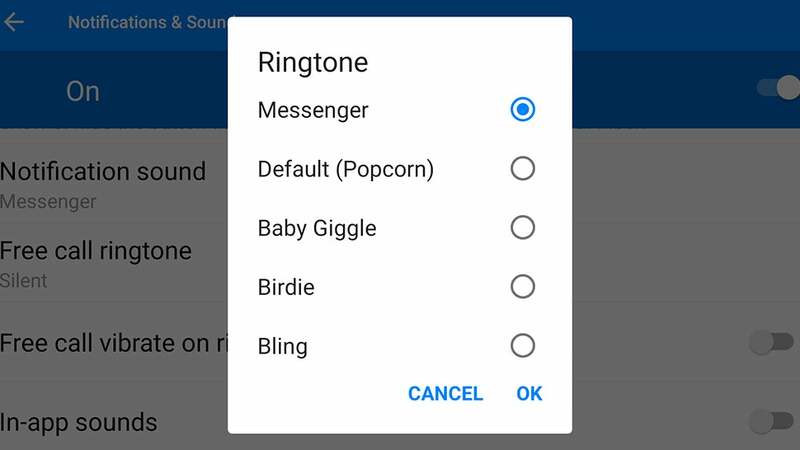 You can still set your own sounds for ringtones and notifications though. From Settings, tap Sounds & Haptics, then choose Ringtone, Text Tone, or any of the other entries in the list to set the matching sound. As you select sounds, they’ll be previewed for you, and when you’re happy, hit Back. 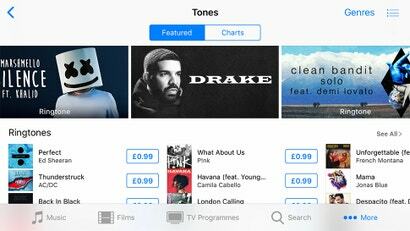 iOS comes with an integrated ringtone and alert tone marketplace which you can find by tapping Tone Store then Tones when you’re setting a sound. Tap on any of the audio clips to get a preview, and to make a purchase, if you want — you’ll typically have to pay $1 for a new clip, which will then be automatically downloaded to your phone. As on Android, you can set individual sounds for each contact, to help you work out who’s calling or texting. From the Contacts app, tap on a contact then hit Edit to get to the Ringtone and Text Tone options. 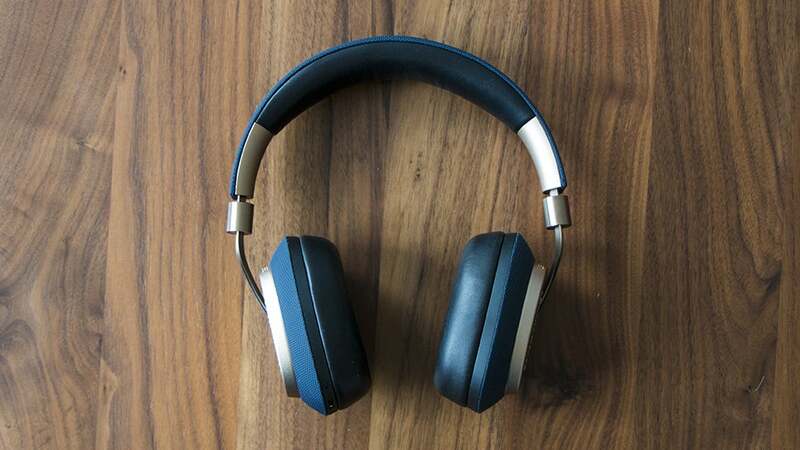 You can even set up custom vibration patterns if you prefer them to audible sounds. iOS ringtone apps (like Zedge) are available, but they can’t set ringtones directly. 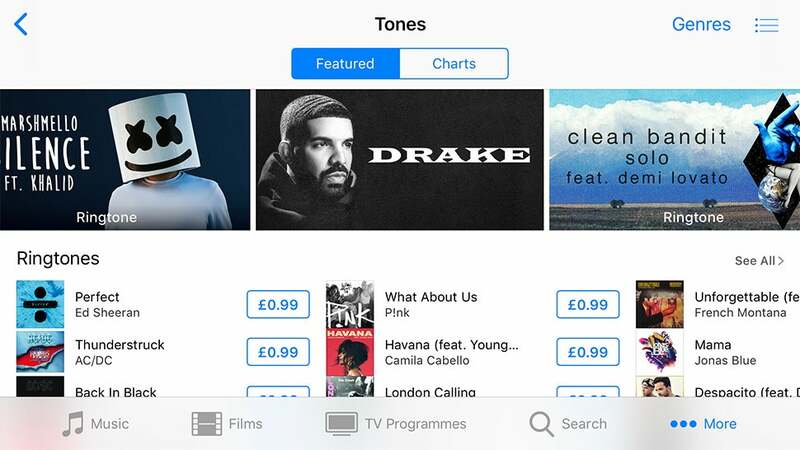 Any audio clips you download in these apps then need to be synced with your computer through iTunes, then imported back into the Tones section of iTunes, as we described above. Any clips that you do add and sync through iTunes will show up as ringtones, but you can apply them as any kind of alert tone—just scroll all the way past the standard tones for texts or alerts to find the ringtones list, where you’ll see the custom sounds you’ve added, under the names you’ve given them. Besides the settings we’ve talked about above, you’ll find individual apps have notification settings of their own, though this is only available in Android at the moment. 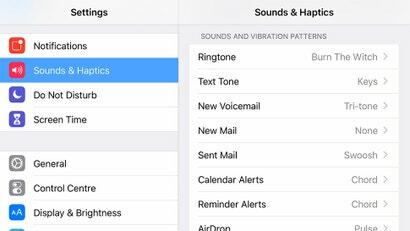 When it comes to iOS, if the app isn’t listed in the Sounds & Haptics menu, then it will fall back to using the default options. You’ve got a lot more choice in Android. In Facebook Messenger for Android, for example, tap your avatar (top right), then Notifications & Sounds, then Notification sound or Free call ringtone and make your choice. Any custom sounds you’ve added should show up in the relevant categories. Another app that gives you the option of changing alert sounds is Gmail for Android: From the app menu, tap Settings, then your email address, then Manage notifications. If you tap Sound, you can make your choice from the list, and again all the custom clips you’ve added are listed alongside the ones that come with Android. Have a dig around in your apps of choice of Android—some let you change the notification sounds, some don’t, but it’s another way of customising the sounds coming out of your handset (and knowing which app is competing for your attention).